Viknesh Vijayenthiran August 29, 2018 Comment Now! 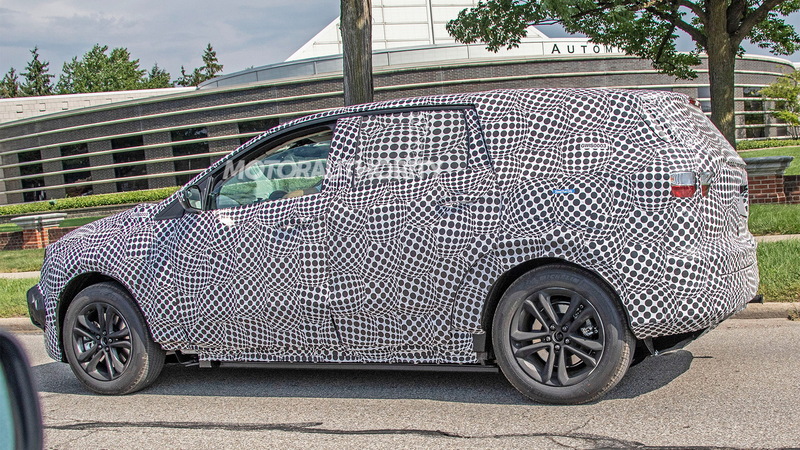 Feast your eyes on the first spy shots of Ford's performance-oriented electric SUV. This is the 300-mile small electric SUV promised for 2020. Ford in early 2018 teased the possibility of using the Mach 1 name for the vehicle but only this week we learned that a strong negative response from Mustang fans has persuaded the automaker to seek another name. 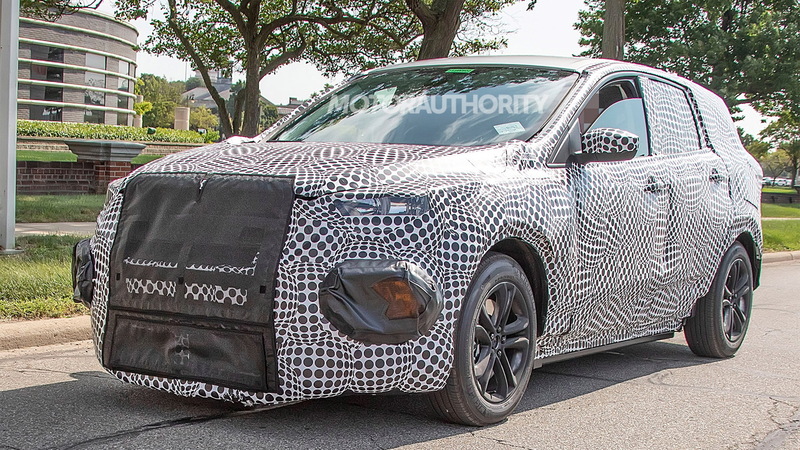 Crucially, the design of the headlights, the steeply raked windshield, and the proportions of the nose seems to confirm the rumors the SUV will at least feature Mustang-inspired styling. The result should be something akin to Chevrolet's 2019 Blazer, which borrows cues from the Camaro. The styling should ensure the vehicle stands out in the small electric SUV segment, which will soon include entries such as the Audi e-tron, BMW iX3, Jaguar I-Pace, Mercedes-Benz EQC and, if not delayed, the Tesla Model Y. It should also distance the vehicle from the similar sized Ford Escape, which is about to undergo a redesign. 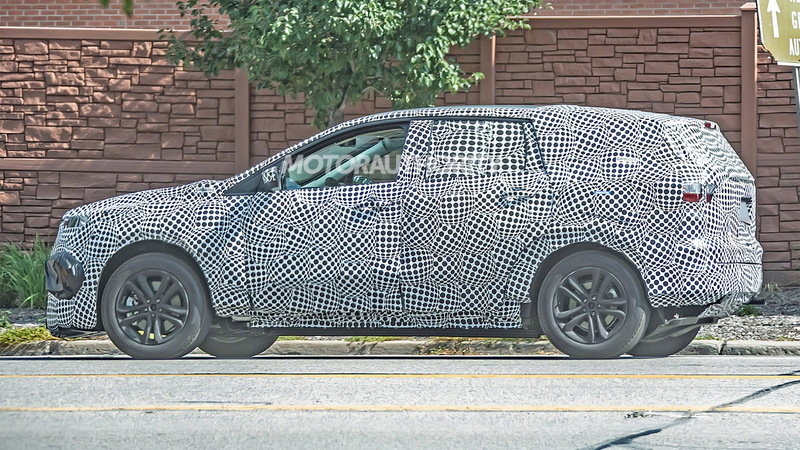 The engineers have attempted to fool onlookers by placing exhaust tips on the prototype as well as a sticker that reads “Diesel Fuel Only.” The protective plating underneath, commonly used to protect floor-mounted batteries on electric prototypes, gives away the identity of the powertrain, however. The 225/60R18 tires fitted to the prototype, in this case Michelin all-season rubber, also hint at an electric powertrain, as a relatively skinny tread helps to reduce drag and is a popular option for electric cars. 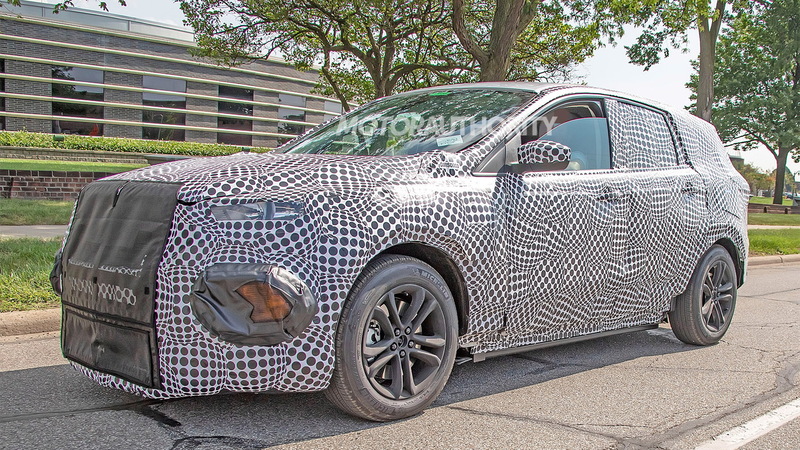 Ford hasn't said much of the SUV, but the platform will likely be the new modular electric platform the automaker confirmed in August. The platform is one of a total five modular platforms that Ford will use going forward. Production of the SUV was originally slated for Ford’s Flat Rock plant in Michigan but is now expected to take place at a plant in Mexico. The SUV is part of Ford's plan to launch 16 electric cars by the end of 2022, some of which are being developed exclusively for the Chinese market. 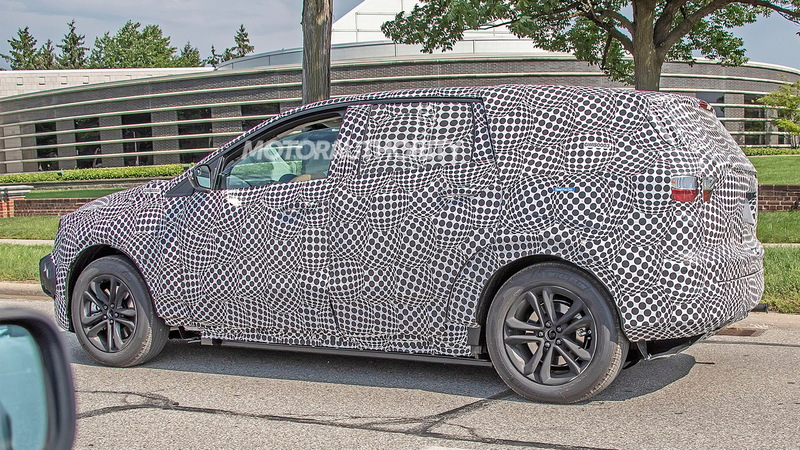 Ford has a dedicated team of engineers working on electric cars. Called Team Edison, the team has greater autonomy than you'd normally find at the automaker in order to accelerate the development process. In addition to electric cars, Ford will also add plug-in hybrid powertrains to core models like the F-150, Escape, Explorer and Mustang in the coming years as part of its electrification plans.